CRKT M21 Linerlock. 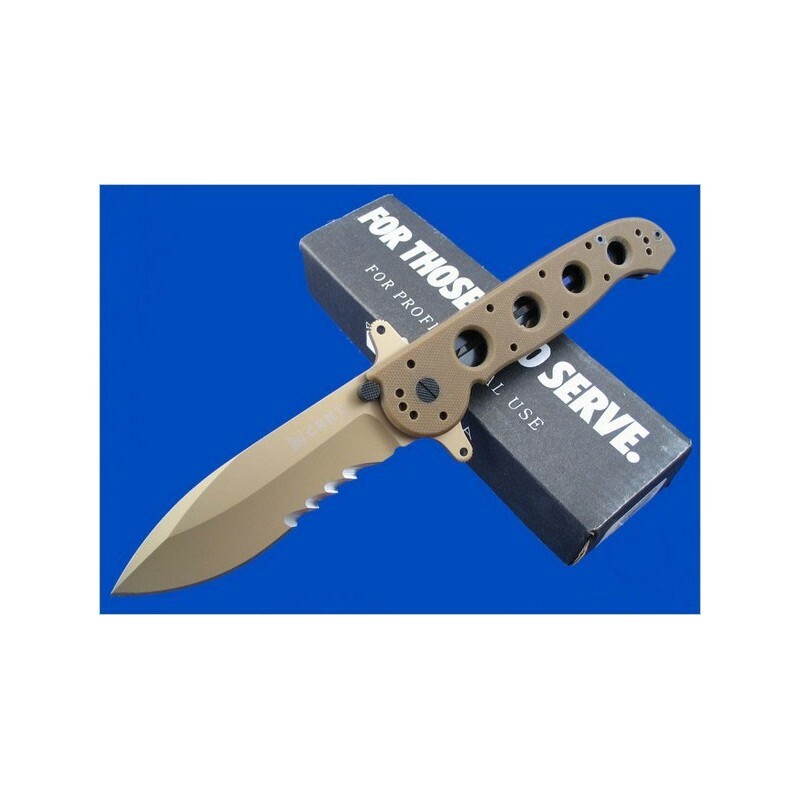 Special Forces Desert G-10. M21. 5 3/8" closed. Spear point blade. 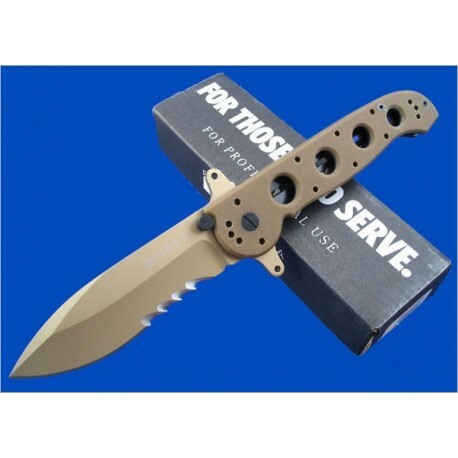 Features an 8Cr14 stainless blade with desert tan titanium nitride coating and Veff serrations. 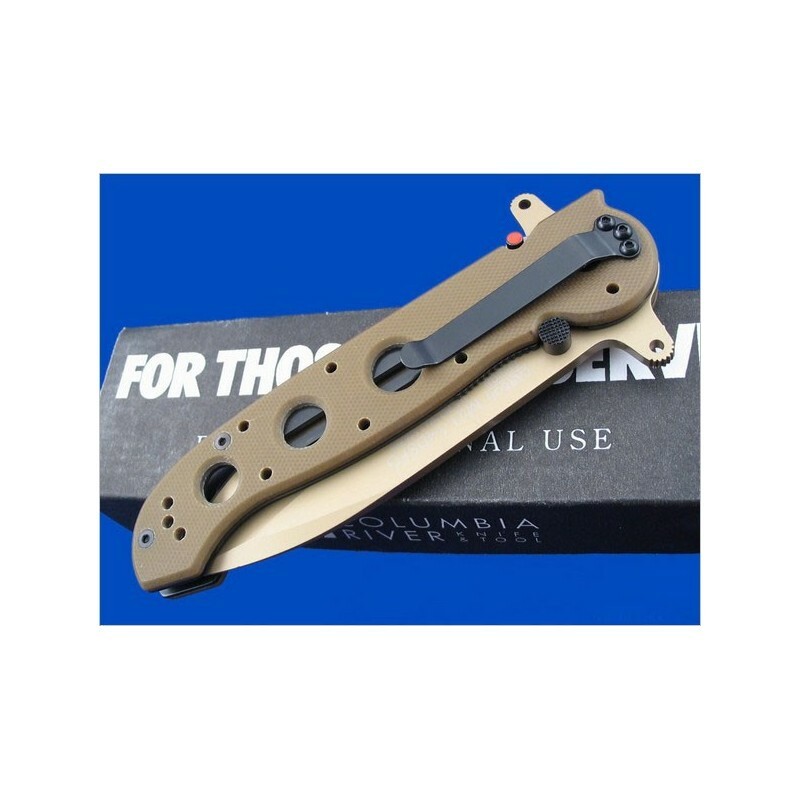 Desert tan G-10 handles. 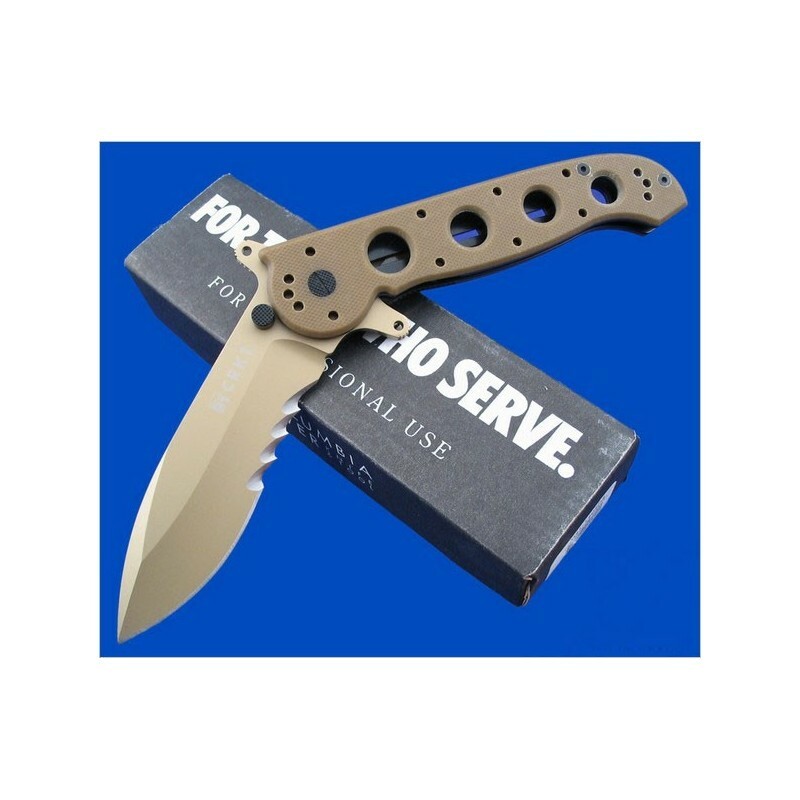 Black coated stainless pocket clip. Features the "Carson Flipper" and the AutoLAWKS safety. Stainless pocket clip.